It's about time we say goodbye to those tiny sunglasses. We saw some pretty out-there fashion statements in the past year and there are some that just didn't make sense. We review the year in fashion, the trends we're glad that went away with 2018, and the styles we're welcoming this year. Who would have thought that bike shorts would make a comeback? Popularized in the 1980s by icons such as Princess Diana, Madonna, and Sarah Jessica Parker, these thigh-hugging shorts made a miraculous return last year. While a few fashion houses such as Stella McCartney and Fendi are clinging on to the trend, it's time to swap your pair of cycling shorts for a more sensible set of tailored shorts. These breathable options will replace the skirt this summer and allow you to dress down your blazer for a sportier look. PVC plastic-everything was all the rage in 2018, and it might have worked for some accessories like the see-through jacket or the occasional handbag but the material might not have been the most practical choice for footwear. This style of footwear has been known to visibly fog up your shoes while worn or make your feet sweat uncomfortably. This year's staple shoe will have a lot more coverage, fortunately. 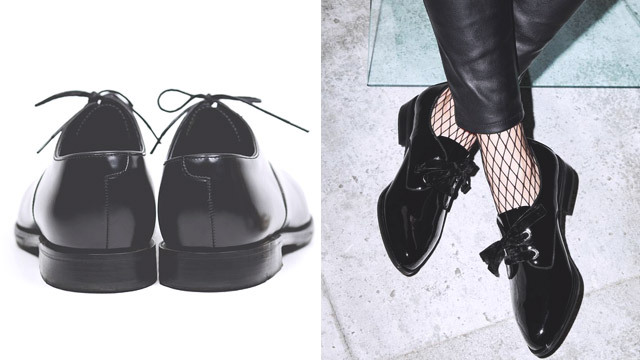 Sartorial forecasts point to square-toe shoes to be on the rise. This welcome addition to the shoe closet is much more wearable than the ubiquitous pointed-toe flats. It's time to bid goodbye to last summer's mainstay shade. For a moment, lavender lent both sundresses and suits a feminine flavor. This doesn't come as much of a surprise after Pantone announced its color of the year, so gear up to find more options in this pink hue. So far, Tibi, Salvatore Ferragamo, and Chanel have joined the coral bandwagon. Vogue Italia called the net bag the must-have item for last summer. The woven bag trend brought us back to our roots with its simple eco-friendly design concept. We saw the net bag take many forms: straw, cotton, raffia, and in many accessible price points. It looks like the accessory is here to stay for another year, a fitting all-natural bag meant for a more environmentally-conscious time. But this year, the net bag is getting some upgrades: J.W. Andersen and Sonia Rykiel's collections have paired it with the undying wicker trend, Loewe is giving it some color and structure, while Altuzarra is keeping its natural look and embellishing it with seashells. 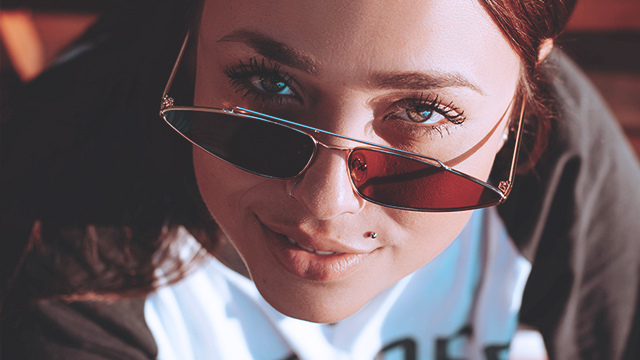 The year 2018 resurrected many trends from the past, but one of the most prevalent throwbacks were tiny sunglasses, sported by the likes of pop singer Rihanna and the trendy Hadid sisters. We saw these reborn in various forms—cat-eyes, oval frames, and rectangular frames. But rationally, these sunglasses served as form over function and do little to actually protect the eyes. Designer brands are now rolling out the exact opposite of micro sunglasses with larger than life shades. They're more goggles than sunglasses, but the creative directors behind Miu Miu, Dior, and Tod's are convinced they're going to be the next big thing. Not all that is big is better, and this goes to the '90s tribute that was the chunky sneaker. Popularized by Balenciaga late into 2017, this shoe trend was dubbed the "ugly sneakers" by fashion authorities. Bulky, heavy, and bordering ridiculous, this "ugly" trend is better off left behind in 2018. Celine's Hedi Slimane has spoken: loafers are the new sneakers for both men and women. This formal type of footwear is given the edge that it needs through crazy prints and over-the-top details. Berets were big in the headwear department last year, thanks to the likes of Chanel and Dior. As fashion accessories, however, they were merely just that—add-ons to an outfit. Right after the exit of small-sized beret and bucket hats, here comes the oversized hat. This type of headgear will be popular around the summertime, replacing the conventional sunhats. There was wide use of ribbons, tulle, and excessive layers in the past year. But now that we're entering an age where less is more, fashion is ready to shed the surplus of materials for something more down-to-earth. The hourglass figure is making a revival, but not in the way you would expect it. Tailored suits are constructed with built-in cinched waists to automatically give its wearer a curvy silhouette. It's a reasonable partnership between business and fashion.